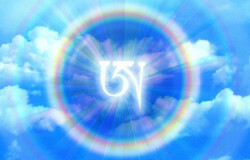 Guided meditation and discussion with Pema Khandro. 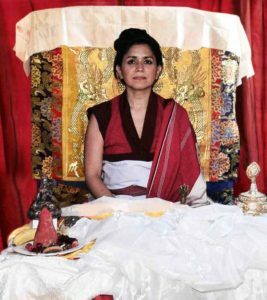 Join online for this monthly class to practice meditation and discuss esoteric Buddhism with Pema Khandro. This class is a joyful opportunity to connect with the Buddhist Yogis worldwide sangha and raise your questions directly to Pema Khandro Rinpoche. Dzogchen is an esoteric Tibetan Buddhist teaching that focuses on waking up to the goodness and wisdom within every human being. In the tradition of Buddhist Yogis, we prioritize the integration of this natural goodness with the full range of life experiences – so spiritual work doesn’t disengage us from the world, it equips us to live more wakefully within it. As a key for busy householders to maintain regular practice, in Tibetan tradition, two days are held as the most important days for householders to practice every month, so we offer Dakini Day and Dzogchen day to support this practice. To help support busy Buddhist Yogis in keeping a stable practice schedule – Dzogchen Day Meditation Class is held with Pema Khandro every second Wednesday of the month at 6pm PST / 9pm EST. Members are sent reminder emails with the class link 24 hours before and again 1 hour before the class starts. Occasionally, in the event of her absence, while Pema Khandro Rinpoche is travelling or in retreat – this class is led by her senior students.